1 Find A Grave, (accessed 04/30/2013). 2 NEHGS NEXUS: New England Across the United States, 1996, Vol. 13, p. 207, New England Historic Genealogical Society (Online Database). 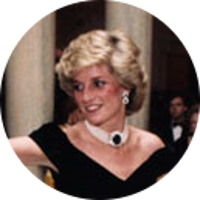 3 Evans, Richard K., The Ancestry of Diana, Princess of Wales , Boston: New England Historic Genealogical Society (2007), 98, 202. 4 Roberts, Gary Boyd, The Royal Descents of 600 Immigrants to the American Colonies or the United States , Baltimore: Genealogical Publishing Co. (2008), 340. 5 Wikipedia, "Winston Churchill (1620-1688)", (accessed 04/30/2013).